Intact Financial Corp. is not ruling out the possibility of buying a commercial brokerage or managing general agent in the United States. “We are doing a lot of work to understand the opportunities in distribution in the U.S. and will be open to deploy capital,” Intact CEO Charles Brindamour said Tuesday during a conference call with stock and bond analysts working for investment banks. “We are not at the level of big capital deployments in the U.S. – hence our priority for capital deployment is in Canada – but we are certainly starting to explore smaller and mid-tier capital deployment opportunities in the U.S. and that very much includes distribution,” Brindamour added during the call, which focussed mainly on Intact’s financial results for 2018 and the most recent quarter. Brindamour was asked whether Intact officials are thinking of acquiring companies that distribute insurance in the United States. Intact, which bought AXA’s Canadian operations in 2011 Jevco in 2012, leads the Canadian property and casualty insurance market with 17% market share in 2017. 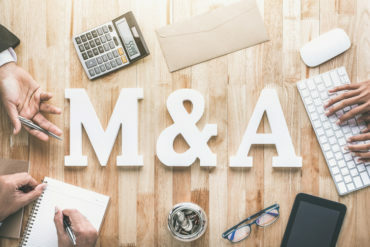 Intact agreed in May 2017 to acquire Plymouth, Minn.-based OneBeacon, a commercial insurance carrier that was publicly traded and majority-owned by Bermuda-based White Mountains Insurance Group Ltd. Intact closed the deal in September 2017. “When you look at our footprint in the U.S., we have 14 different business lines spread across the land,” Brindamour said. He was referring to OneBeacon’s business lines: ocean and excess property; inland marine; management liability; excess property; group accident and health; surety; entertainment; environmental; financial institutions; financial services; healthcare; public entities; technology; and tuition refund. “The opportunities to expand our footprint, fortify our position and build scale in those 14 lines of business could very well, in my mind, go through distribution acquisitions, which is different from our distribution strategy in Canada. [The Canadian distribution strategy] consists of building a massive largely personal lines distribution operation,” Brindamour said, alluding to BrokerLink, which has announced three acquisitions so far in 2019. Intact announced Feb. 4 that Edmonton-based Bridge Financial Insurance Ltd. joined BrokerLink effective Feb. 1. Bridge also has offices in Bonnyville and Cold Lake. Two other brokerages, Toronto Insurance and Financial Group (TIFG) Inc. and Edmonton-based Challenge Insurance, joined BrokerLink effective Jan. 1. Brindamour was asked Tuesday how much competition Intact faces from other potential buyers when it enters negotiations to buy brokerages.